Today I have something out of the ordinary and a bit fun (at least it was fun for me to write). Our second daughter is in Grade 1 and her teacher was introducing the class to Flat Stanley. 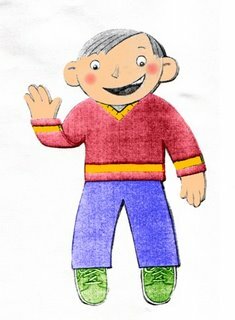 According to one source, “Flat Stanley is a series of chapter books about a boy named Stanley who was flattened by a board in the middle of the night. The books are about his adventures as a flat kid.” Our daughter brought home an assignment for me in which I was to write a short story involving Stanley. The story would also demonstrate what I do in my work from day to day. It would then be included in a collection of short stories from all the dads in the Grade 1 class. So, that’s the explanation and now here’s my story. One morning I was sitting in my study working on my computer. All of a sudden I looked at my Facebook page and there was a friend request. Somebody named Stanley wanted to be friends with me. I had never heard of Stanley before. So, I looked through Stanley’s list of friends to see if there was anyone that I knew. Sure enough, there were many people that Stanley knew that I knew too, so I thought that Stanley might be a good person to know. I clicked “accept” and all of a sudden I had a new friend! I went to his Facebook profile page to look at his pictures. One thing I noticed was that Stanley looked rather flat. But other than that, he looked like a fun person to get to know. It was time to get back to work on my making my sermons for Sunday. So I opened my Hebrew Old Testament and I started translating Genesis 9 from Hebrew into English. There were some really interesting things in the Hebrew! I was just starting to get into it and then I saw a message blinking at the bottom of my computer screen, “New message from Stanley! New message from Stanley!” I didn’t expect to hear from him so soon. Stanley: Are you having a good day? Me: This is an awesome day! I get to study the Bible and make sermons telling people good news about Jesus Christ. I love it! Stanley: Would it be okay for me to come by for a visit with you this afternoon? Me: That would be fine. I have a visit with someone else at 2:00, but you can come at 3:30 and then we can visit together. I always love visiting with people. Stanley: Okay, I will come at 3:30 and visit you at your study. Then we signed off and I started working again on Genesis 9. I worked on that until lunch time. After lunch, I went out for a visit with somebody from my church. They had some important questions to ask me and I did what I could to help them. That’s what I do. Ministers help people with the Bible. They do that in visits, but also in preaching on Sunday. After my visit I came home and while I was waiting for Stanley, I picked up a new book to read. Ministers do a lot of reading. Reading helps us to know what the Bible says and how to pass on the good news! It was about 3:30 when I heard the doorbell ring. I opened the door and there was Stanley, and was he ever flat! Miss Holtvluwer was right: he was as flat as a pancake. I felt sorry for him, but I didn’t want to make him feel bad so I didn’t mention anything about it. I invited him in. Stanley was elated and I was glad to be able to help him. He said, “Thank you, thank you, Reverend Bredenhof, you made my day awesome!” I told him, “Stanley, I’m always here to help you if you have any questions about what the Bible says. Just let me know, send me a Facebook message, or an e-mail or a text message, whatever. I’m here to help you.” Stanley and I prayed together and then he slipped out the door sideways and disappeared. It was good to meet Stanley and I’m looking forward to seeing him at church on Sunday.